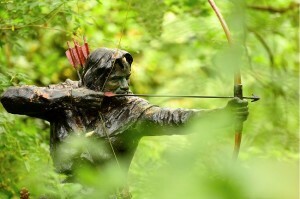 The New Sherwood Forest Visitor Centre is now open.. Learn the secrets of the Forest and find out about the fascinating and elusive Robin Hood! You’ll find plenty for your groups to enjoy and experience at Sherwood in Nottinghamshire, whether you’re here for a few hours, a day or hopefully a longer stay. The new visitor centre is open 10am – 5pm from March to October, and 10am – 4:30pm from November to the end of February. 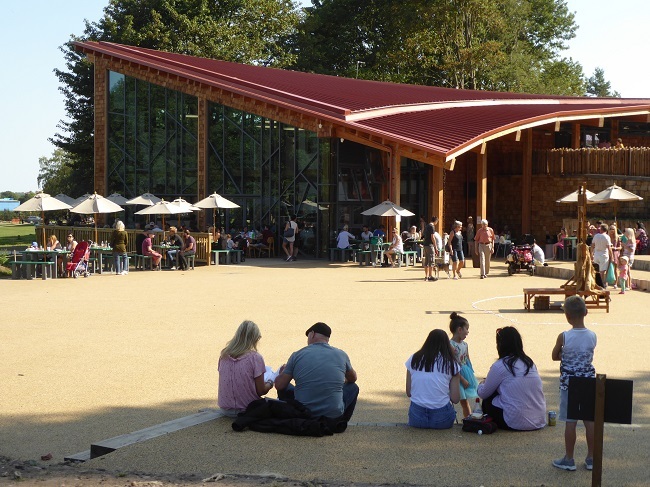 The visitor centre is a great place to start your journey and it’s home to a welcoming café, where you’ll find freshly made produce, from sandwiches and jacket potatoes, to homemade pies. They will even organize a picnic pack up for the younger members of your party. There’s also the Sherwood Shop with something for every budget – including pocket money shoppers – and gifts for all tastes and occasions. The place to pick up your Robin Hood and Sherwood mementos, as well as items from the RSPB range. And the toilet facilities are here too, with a Changing Places facility for users with disabilities, and their carers. There’s no end to the adventures waiting to be had, and every path will offer up a little magic…that’s why many visitors go their own way. But trails guides, with something suitable for all ages, abilities and interests, from fungi to fauna are perfect if you want to leave less to chance. Don’t forget to pick up a printed guide in the visitor centre before you set off. And there’s always something going on, as the area offers an excellent programme of special events. 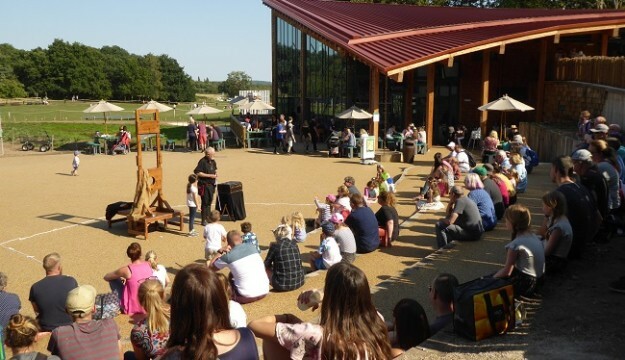 Time your visit to take in a seasonal guided tour or walk, learn some archery skills, or look out for the daily activities board on arrival, to see what the wardens are up to today. You can also learn more about how they’re working to manage and sustain the forest, and sometimes, there’ll be the chance to have-a-go yourself! The historic village of Edwinstowe is close at hand too, plus a craft centre just across the square from the visitor centre. Walk around the village and you’ll uncover dozens of places which also play a part in the story of Sherwood, such as the nearby St Mary’s Church, which famously lays claim to hosting Robin and Marian’s wedding. You’ll find ample coach parking available at Sherwood, just across the road from visitor centre. The parking is accessed via the entrance on the B6034, and it’s open from 10am – 5pm in summer and 10am – 4.30pm in winter. Park up and follow the signs (they love arrows at Sherwood!) 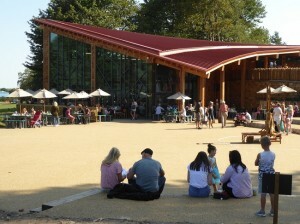 across the road and on to Forest Corner, where you’ll catch your first glimpse of the visitor centre through the trees. Accessible parking for any visitors with disabilities is available adjacent to the new centre. There is a Youth Hostel directly across the road from the visitor centre in Forest Corner, offering a warm welcome to weary travellers! Edwinstowe is also right on the doorstep where you’ll find various accommodation. Wind rain and shine, 12 months of the year there is plenty going on here – discover their programme of guided walks, festivals, mushroom hunts and seasonal highlights such as Sparkling Sherwood and our Christmas tree dressing.